« Question: There are so many forms of iodine. Which one is best? Could kale, a less domesticated, disheveled form of cabbage, really be one of the most potent healing foods in existence today? 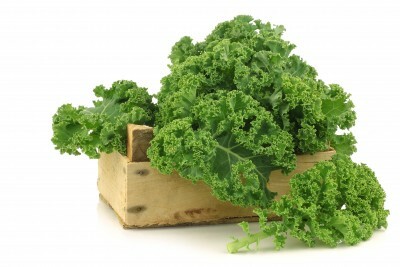 Few foods commonly available at the produce stand are as beneficial to your health as kale. And yet, sadly, it is more commonly found dressing up something not as healthy in a display case as a decoration than on someone’s plate where it belongs. Kale is perfectly content letting its luscious green leafy hair down, being the ‘hippie’ member of a family that includes the more tightly wound broccoli, cauliflower and the Brussel sprout, whose greater respectability as far as most restaurant menus go means kale is more likely to be found forgotten, shriveling up somewhere on the bottom shelf of someone’s refrigerator, no doubt possessed by someone with every intention (but not the time and appetite enough) to eat it. But please do not underestimate this formidable plant, which grows as high as six to seven feet in the right conditions, casting a shadow as long as the impressive list of beneficial nutritional components it contains. Its nutritional density, in fact, is virtually unparalleled among green leafy vegetables. Consider too that during World War II, with rationing in full effect, the U.K. encouraged the backyard cultivation of this hearty, easy to grow plant for the Dig for Victory campaign that likely saved many from sickness and starvation. Over a half century later, kale’s status as a former cultural nutritional hero has faded into near oblivion … until now, we hope! 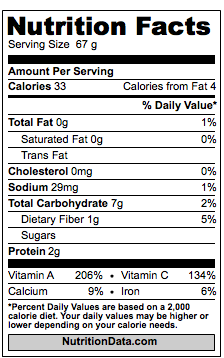 So, let’s get a better sense of all that kale has to offer by looking at the nutrition facts basics of only one cup of raw kale. For the same reason that massive mammalian herbivores like cows, for instance, eat grass — not other animals — kale can be considered anabolic, “meaty,” and worthy of being considered as a main course in any meal. The nice thing, too, is that less is needed to fulfill the body’s protein requirements. Also, kale is so much lower on the food chain than beef, that it doesn’t bio-accumulate as many, and as much, of the toxins in our increasingly polluted environment. And this, of course, doesn’t even touch on the great “moral debate” concerning avoiding unnecessary harm to sentient beings, i.e. eating kale is morally superior than eating/killing animals. 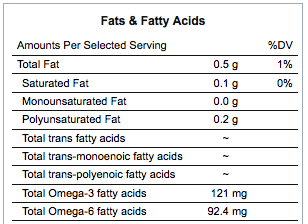 While it is considered a “fat free” vegetable, it does contain biologically significant quantities of essential fatty acids – you know, the one’s your body is not designed to create and must get from the things we eat or suffer dire consequences. Now to the vitamins. Kale is a king of carotenoids. Its vitamin A activity is astounding. One cup contains over 10,000 IU’s, or the equivalent of over 200% the daily value. Also, consider that most of this vitamin A (retinol) is delivered the form of beta-carotene, which in its natural form is the perfect delivery system for retinol (two retinol molecules attached to one another), as it is exceedingly difficult to get too much. If you compare it to the synthetic vitamin A used in many mass market foods and vitamins, it is an order of magnitude or higher safer. Kale has a few more surprises left in the “vitamin” department. 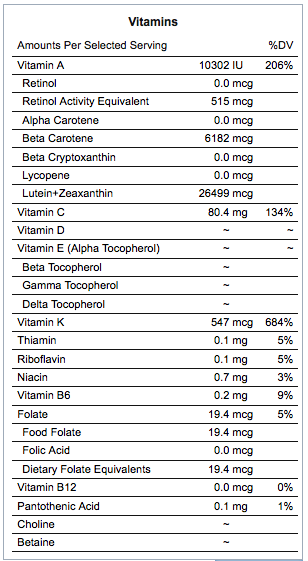 It turns out that it is loaded with both lutein and zeaxanthin at over 26 mg combined, per serving. Lutein comes from the Latin word luteus meaning “yellow,” and is one of the best known carotenoids in a family containing at least 600. In the human eye it is concentrated in the retina in an oval-shaped yellow spot near its center known as the macula (from Latin macula, “spot” + lutea, “yellow”). This “yellow spot” acts as a natural sunblock, which is why adequate consumption of lutein and zeaxanthin may prevent macular degeneration and other retinal diseases associated with ultraviolet light-induced oxidative stress. In effect, one could calculate the cost reduction of this added bonus into kale’s sticker price, which incidentally, is insultingly low considering all it has to offer. 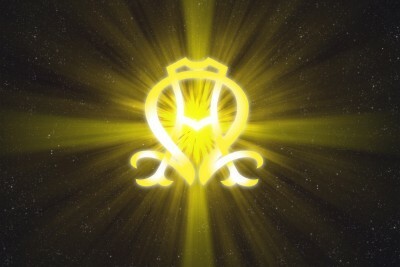 How, after all, does one price the preservation of your vision? Kale: The New “Vegetable Cow”? Now, just when you thought kale was just too good to be true, there is the matter of its remarkable mineral composition. Of course, the quality and mineral and microbial density of the soil within which it is grown is a factor, but kale generally has the ability to provide an excellent source of minerals, in what is known as food-state. Unlike inorganic minerals, e.g. limestone, bone meal, oyster shell, the calcium in kale is vibrating with life-sustaining energy and intelligence. At 90 milligrams per cup, this highly bioavailable calcium actually contains more calcium per gram than whole milk! Also, a calcium bioavailability study from 1990, comparing milk and care in human subjects, found that kale calcium was 25% better absorbed, proving that the propaganda in support of milk as the ultimate source of calcium isn’t as mooo-ving as commonly believed. 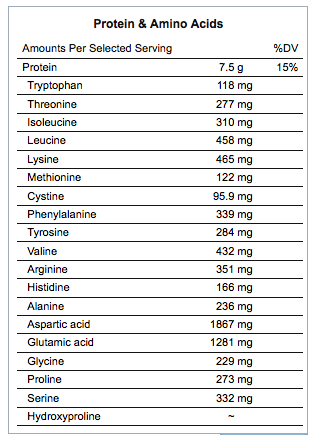 Just to be a bit exact about how much calcium there is in kale, for every gram of kale there is 1.35 mg of calcium. For every gram of whole milk, there is 1.13 mg. The difference, also, is that milk calcium is complexed with a sticky protein known as casein. This is why Elmer’s glue was once made of milk protein. It is exceedingly hard for one-stomached (monogastric) mammals (that’s us) to digest, and so, the calcium is difficult, if not impossible (in some) to liberate. Also, casein proteins require a large amount of hydrochloric acid to break down with our protein-digesting pancreatic enzymes.Over time, this can lead to some metabolic acidosis which may further leach calcium from our mineral stores, e.g. bones, teeth, causing a net loss in calcium following the consumption of cow’s milk products heavy in casein, especially cheese. Kale, like most vegetables, on the other hand, are alkalinizing and therefore actually reduce the body’s requirements for acid-neutralizing minerals (e.g. 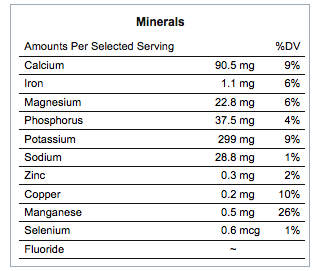 calcium, magnesium, sodium, silica, potassium) and therefore reducing the total amount of calcium we need to stay in pH and mineral balance. Kale, therefore, not only contains more of the right form of calcium, but may actually reduce your daily bodily requirements for it. 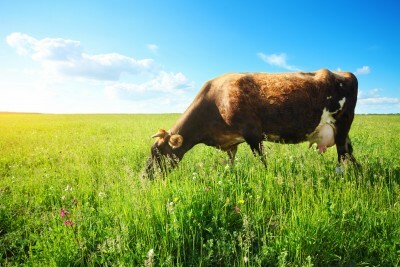 Move over moo juice, there’s a new “vegetable cow” on the block! Finally, kale is more than just a nutritional “superfood.” It comes from a long line of plant healers, and could very well be considered and (given future FDA drug approval) used as a medicine. Newly emergent biomedical literature now shows it may be of value in the treatment of cancer, elevated blood lipids, glaucoma, and various forms of chemical poisoning. We have made available the first-hand abstracts on our Kale Health Benefits research page, for those who, like us, enjoy geeking out to the science. Also, kale, like most Cruciferous vegetables, is exceedingly high in several other extensively research anticancer compounds, such as sulforaphane and indole-3-carbinol. The data set on these are even more impressive than on kale itself, with over 140 disease states potentially remedies for sulforaphane alone: sulforaphane health benefits. Here is a great tip worth trying. Instead of eating an egg for breakfast with toast, try chopping up half a bunch of kale, a quarter of an onion, and stir fry it in a tablespoon of olive oil for a few minutes till it is tender. Make sure to add in a pinch of sea salt (I prefer Bragg’s liquid aminos), a pinch of pepper, a teaspoon of lemon or if you are like me, use Ume Plum Vinegar. Also, go to your local health food store and get dulse flakes. Note: Dulse flakes can be found in a pepper shaker like container. Kale, like most Cruciferous vegetables, contain naturally occurring goitrogens (or unnatural ones that have accumulated in them, such as perchlorate and various agrichemicals, especially in non-organically farmed vegetables) which can block the ability of the thyroid to utilize the iodine required to produce thyroid hormones (T4, T3). Since so many folks are already completely deficient in iodine, it really can’t hurt (excepting rare cases of hyperthyroidism). Therefore it is a good practice to use it as a kale-specific antidote seasoning. Tagged food, kale, vitamin A, vitamin c, vitamin K. Bookmark the permalink.